NB: Can be used for non aero petrol models if the bumper is trimmed or replaced and additional hanger is used to accommodate new tailpipe position and additional tailpipe. 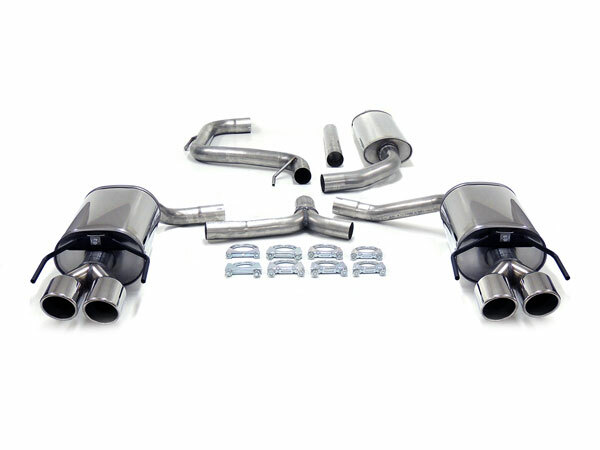 This high quality free flow Sports exhaust system is manufactured from Stainless Steel. Please select your fuel tank size from the options below, do not hesitate to contact us with your chassis/VIN number if you are at all unsure which size fuel tank you have or if you have any other questions.